A judge has ordered Elwin Michael Goodpipe to be assessed for potential dangerous or long-term offender status because of his criminal history. 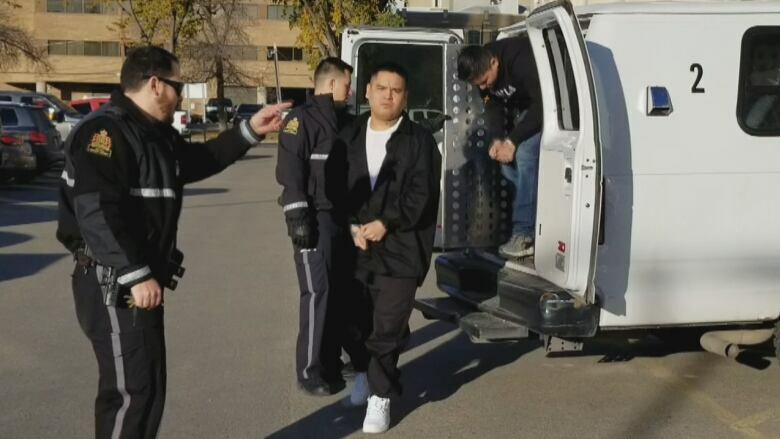 A Regina man convicted of two homicides more than a decade apart will undergo an assessment to see if he should be designated as a dangerous or long-term offender. Elwin Michael Goodpipe was convicted of manslaughter in 2006 and 2018 in two separate cases. On Wednesday, Justice Meghan McCreary ordered Goodpipe to undergo the assessment, which includes a psychiatric evaluation to be completed within 30 days of the order. A dangerous offender designation means that there may be no set release date for an offender, but they go through periodic reviews while incarcerated. Crown prosecutor Roger DeCorby requested the assessment, citing Goodpipe's history of violence and weapons-related charges. The defence also recognized Goodpipe's record, calling it "regrettable," but said it would object if the Crown recommends Goodpipe be designated a dangerous or long-term offender. The matter is scheduled to be back in court Jan. 10, after the assessment is done. In May, a jury in Regina's Court of Queen's Bench found Goodpipe guilty of manslaughter in the March 29, 2016, fatal shooting of 56-year-old Andre Joseph Aubertin. The Crown called it a robbery gone wrong. Goodpipe pleaded not guilty to the charge, as the gun involved in the killing was not actually in his hands. In 2006, Goodpipe pleaded guilty to manslaughter for his role in an unrelated crime — the fatal shooting of another Regina man, Wayne Gerald Friday, in 2004. Goodpipe, then 23 years old, was sentenced in 2006 to 11.5 years in prison, minus time served, in connection with Friday's death. An earlier version of this story said a dangerous offender designation means there is no set release date for an offender. In fact, an indeterminate sentence is one option when an offender is designated a dangerous offender.